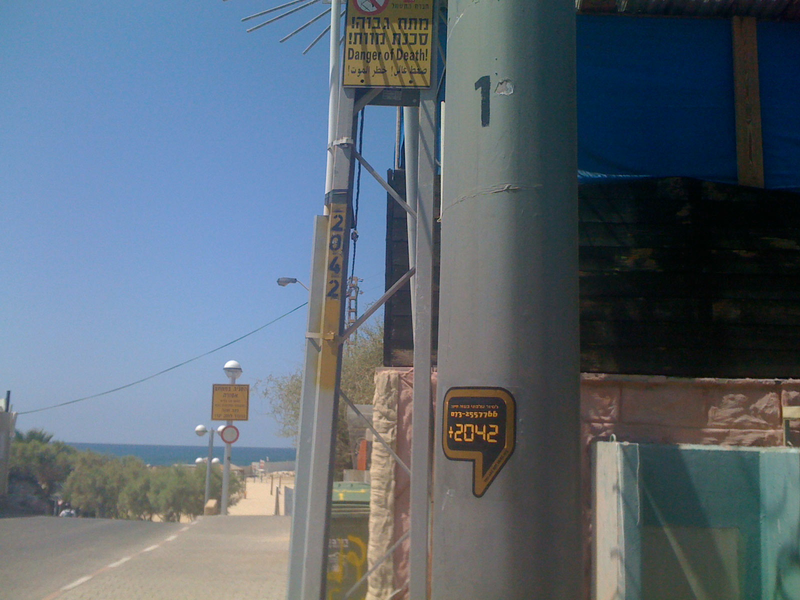 You Are Not Here is a dislocative tourism agency. 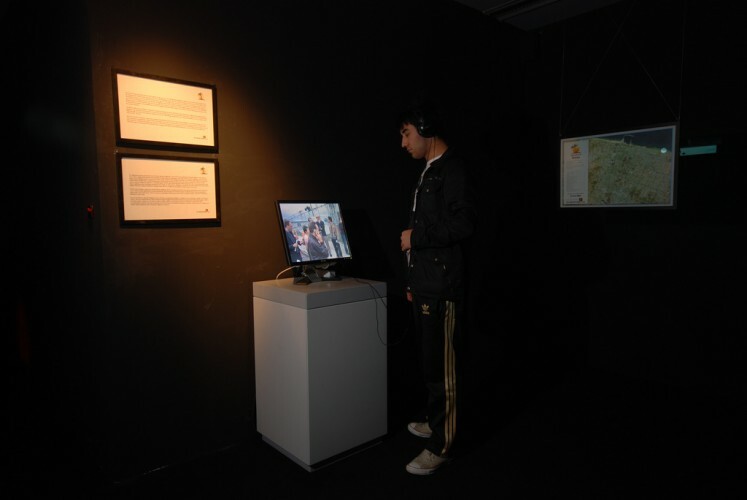 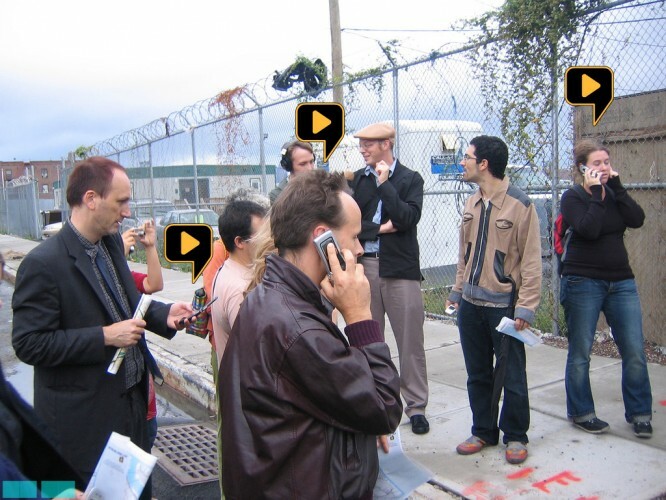 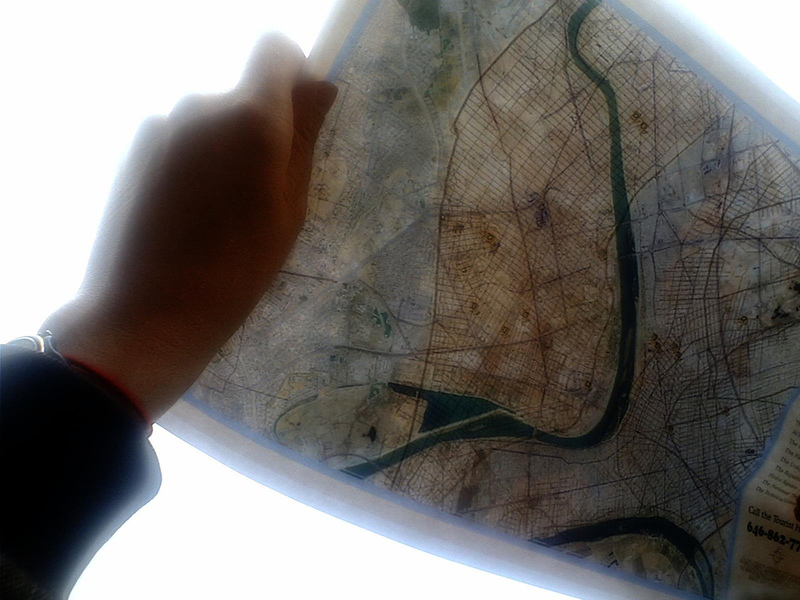 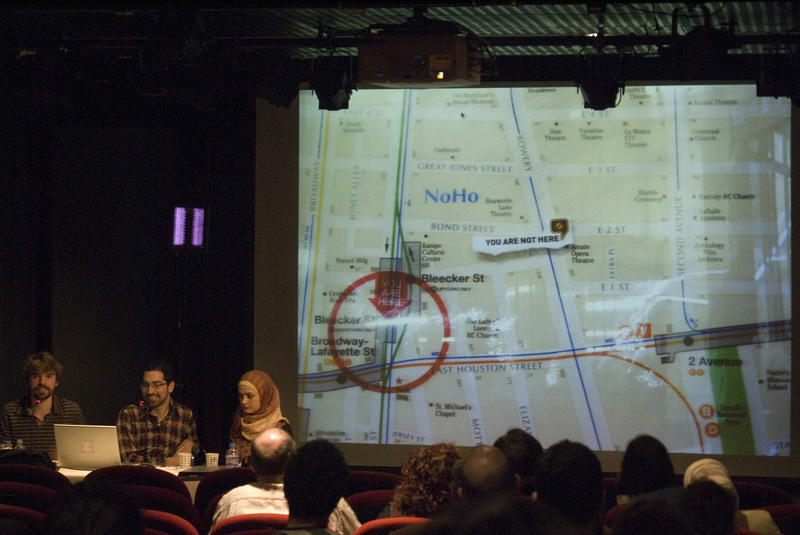 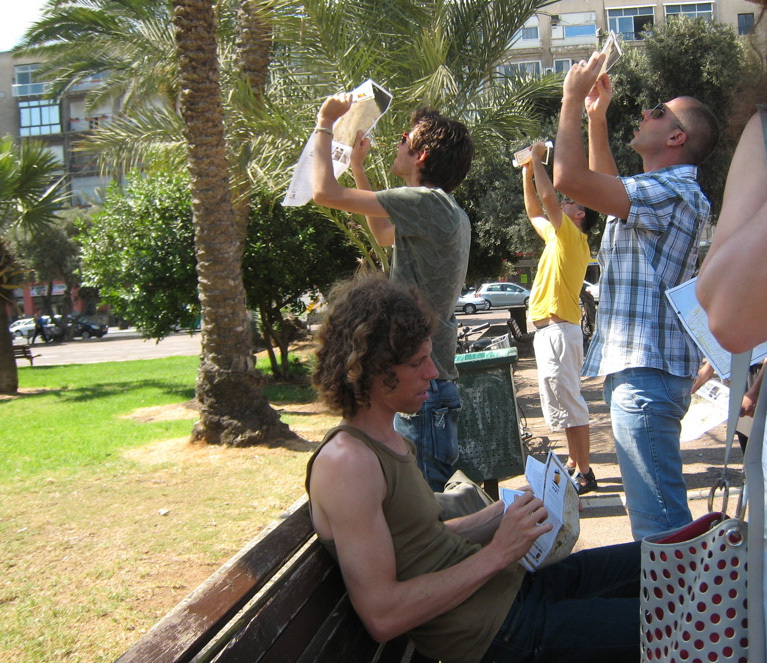 Participants use two sided maps to navigate the streets of one city while walking through the streets of another. 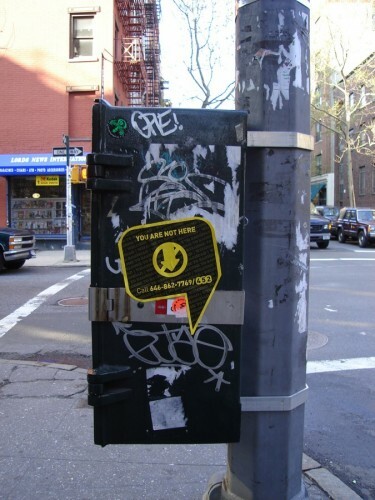 When they reach an area marked as a hot spot on the map they find a sticker or a sign that refers them to a telephone number through which they can get an audio guide of their required destination. 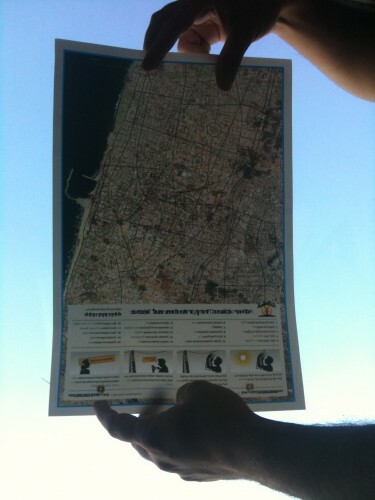 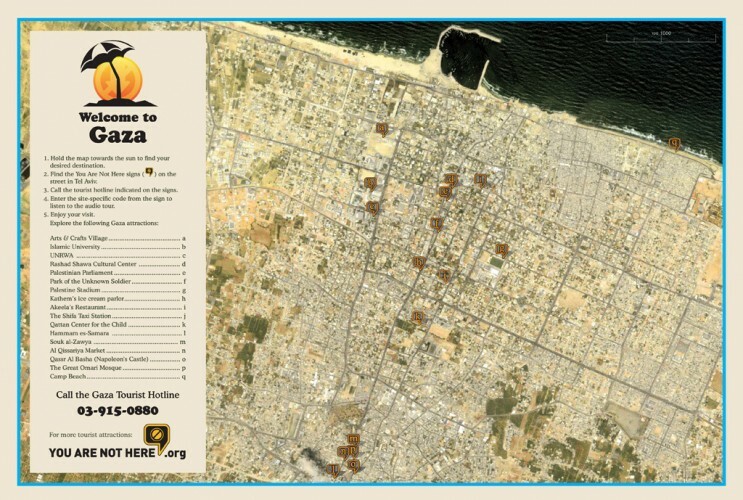 Download a map on youarenothere.org, take your phone with you and go tour Gaza through the streets of Tel Aviv or Baghdad through the streets of New York.